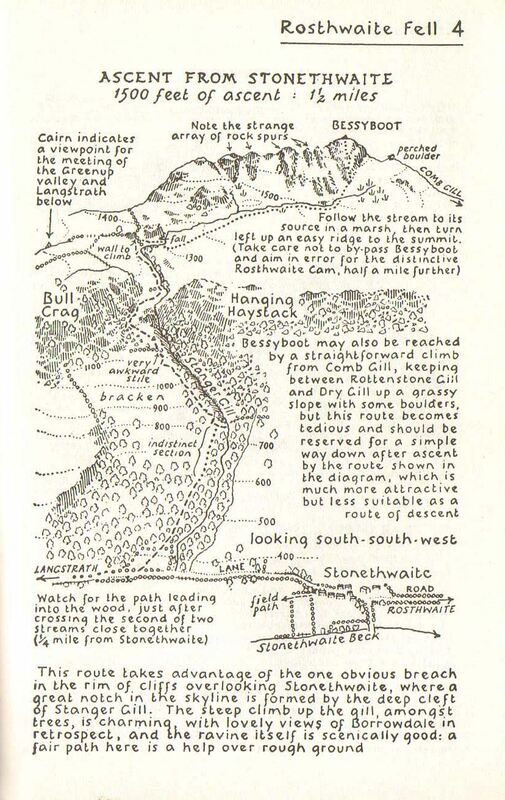 It's taken me just over 44 years but I have now completed 213 of the 214 "Wainwrights" as described in Alfred Wainwright's Pictorial Guides to the Lake District. I have climbed nearly half of the fells on my own and the others with friends, work colleagues, acquaintances, family and sometimes fellow walkers I have met along the way. It was John, Martin, Curls and Peter introduced me to the beauty (and the dangers!) of climbling in the Lake District whilst we were at school and then subsequently during holidays from University. Initially, we climbed most of the big ones, the Scafells, Langdale Horseshoe, Helvellyn, Skiddaw and then over the following years we have climbed over 50 "Wainwrights" together. Some who have joined me on my "fell bagging" were aware of my quest others were oblivious or unaware and if I pushed them too far on occasions, I apologise, there was a goal to achieve! 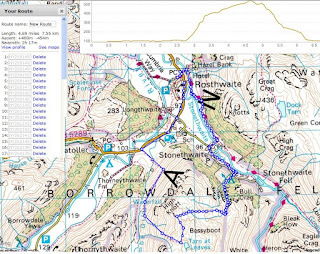 I shall be attempting to complete the last "Wainwright" on Thurs 29th Oct 2015 (or Friday 30th Oct if Thurs weather is atrocious) and welcome anyone who wishes to join me. 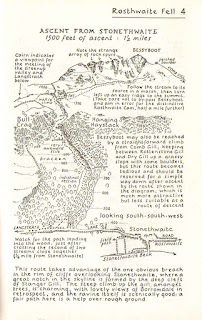 The remaining fell is Rosthwaite Fell or "Bessyboot" and starting from Rosthwaite in Borrowdale it's about a 5m circular walk of 1500ft of ascent. I'll update this blog by adding comments on the walk details nearer the time depending on the weather etc. Myself and the family are staying in cottages in Braithwaite from 24th-31st Oct and fellow walkers (and non-walkers) are invited for a few beers and food after the event. 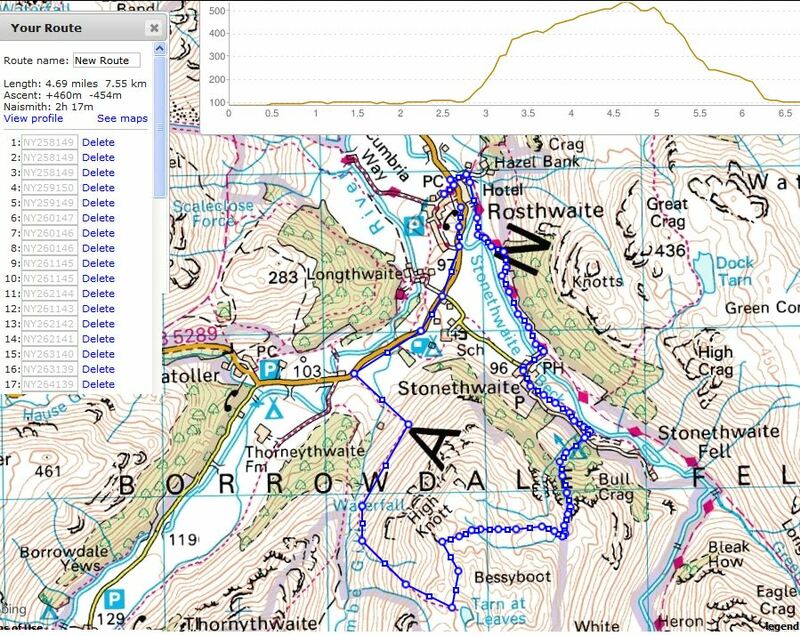 Here is the proposed "short walk" from Rosthwaite which can be extended depending on the weather etc. Provisionally meet at the NT car park in Rosthwaite (if there are spaces!) about 10.30-10.45am. For non-NT members it's about £5-7 per day. There is road parking in Stonethwaite ( approx 15 min. 3/4 mile from Rosthwaite. To post a comment to this blog post just type your message in the box. In the "Comment as" dropdown choose Name/URL and type just your name e.g. Steve G. (ignore URL) then continue to post your comment by pressing Publish or Preview to view it first.